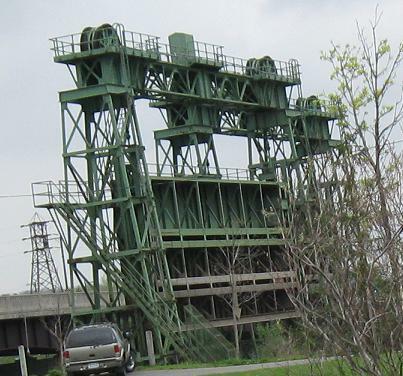 NY 5S is an aptly named spur, running for a long time on the South side of the Erie Canal while NY 5 runs along the north side. 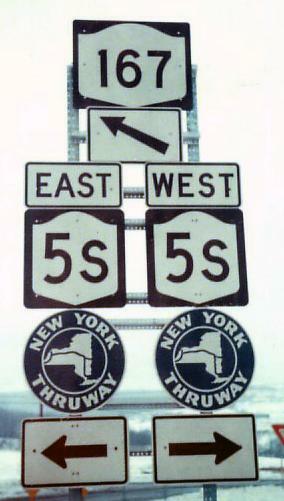 NY 5S WB ends and turns into NY 5A. I guess it didn't make enough sense to NYSDOT to let 5S run north of 5 for any length of time - but why not call the whole thing 5A then? 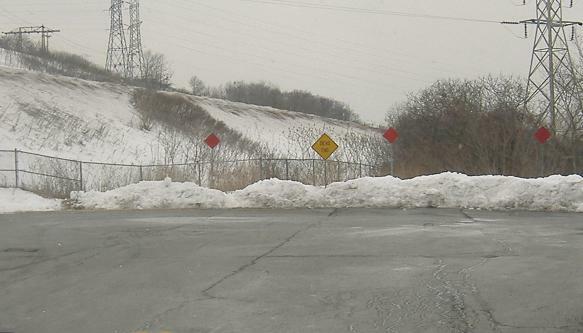 Also note that this is the beginning of I-790, putting four routes together which is a rarity in the Northeast. 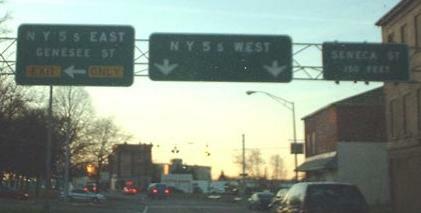 EB and WB through Utica, where NY 5S runs on a one-way pair. Fully signed U-turns are unusual, but since some roads don't cross between the two sides, it makes sense to tell that traffic where to go. Click on the second photo to see Doug Kerr's old version - the Seneca St. BGS has been lost and the WB pull-through was moved into the gap. 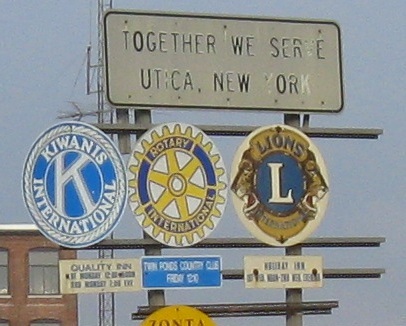 WB on the freeway leading into eastern Utica, a Mohawk River south shore commuter route that doesn't sap traffic from the Thruway (although it should - skip an exit, save a buck). 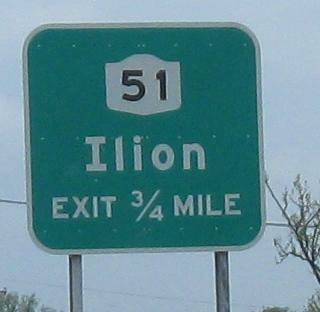 In the first photo, NYSDOT is forced to use the nonstandard serifed "I" in order to prevent readings like Llion or Iiion. Old font (curly numerals) and tapered arrow - too good to be true? Yes. This SB photo was taken in 1976, when NY 167 still used Flint Ave. and not its current slightly more westerly alignment. Courtesy Michael Summa. 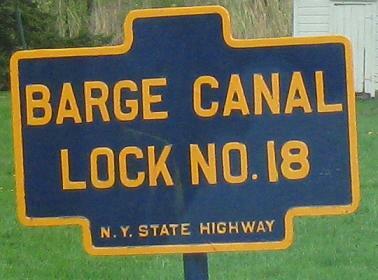 WB across Nowadaga Creek to NY 28 and Lock 18 of the Erie Canal. Consider that each step in the green ladder at left is a foot tall, and I get about 60 feet as a rough measurement of the height of this massive structure. And that's just above ground. 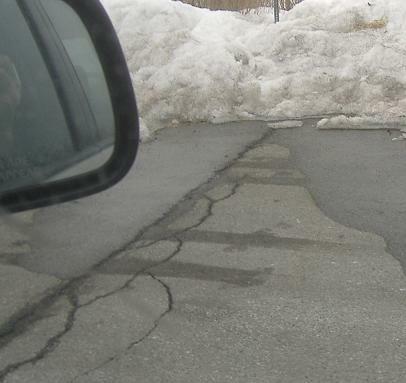 WB at NY 10 in Canajoharie. 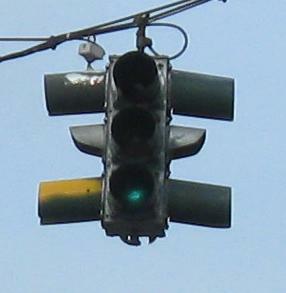 10 of the 12 signal visors are extra-long for no reason, and then the yellow visors for both directions of 10 are a discontinued style that's contrarily too easy to see from the wrong direction. 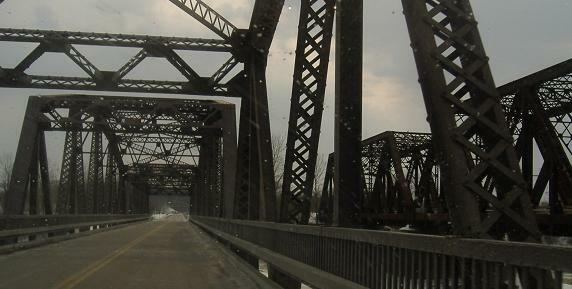 WB across Schoharie Creek, with an old railroad bridge/railbed to the right that's now a snowmobile and hiking/biking trail. 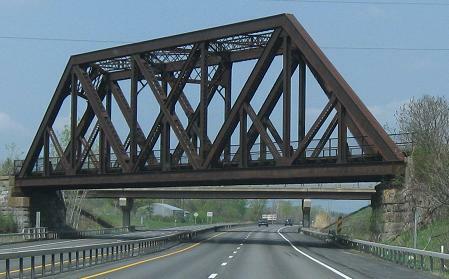 It also was briefly Temporary I-90 EB, for the time when the I-90 bridge across the Schoharie Creek collapsed and freeway traffic was routed via a temporary roadway over the NY 5S bridge and parallel railroad bridge instead. 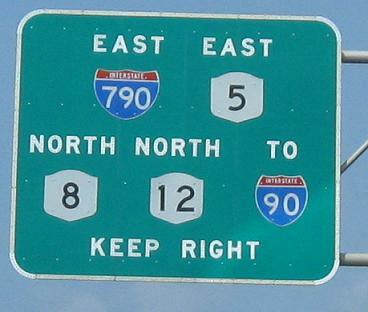 (I guess it was more important to maintain four lanes of traffic on the Thruway than to maintain the connectivity of an important local highway, since 5S was temporarily dead-ended on both sides of the bridge.) To see a lot more photos of the temporary arrangement in the area and its lasting effects, follow the big link below. Courtesy John Krakoff, Florida Ave. EB at Bridge St. in Amsterdam. 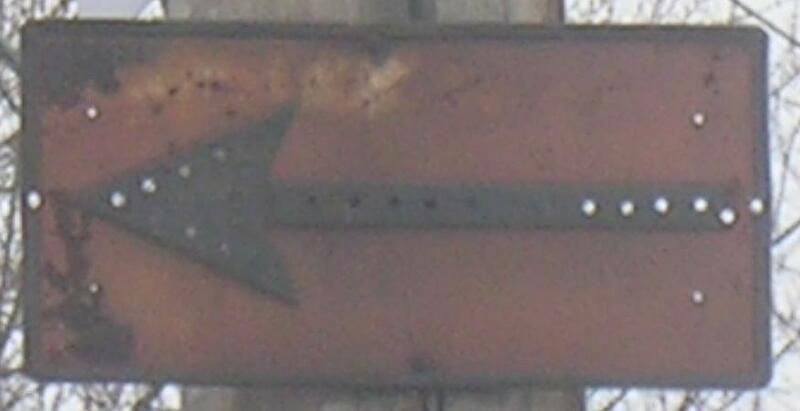 This arrow belonged with an original 1920's or 1930's NY 5S shield, complete with button copy and embossed steel, back when 5S went through town instead of bypassing it. 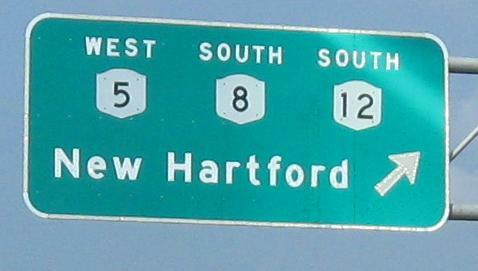 Old reference marker, eastbound near the end of NY 5S at I-890. 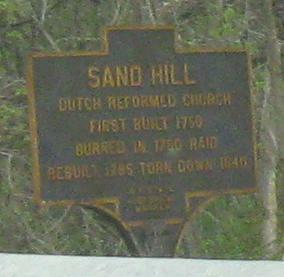 Old NY 5S, Rice Road (now the continuation of NY 337), where it is cut off by I-890. These photos face west. 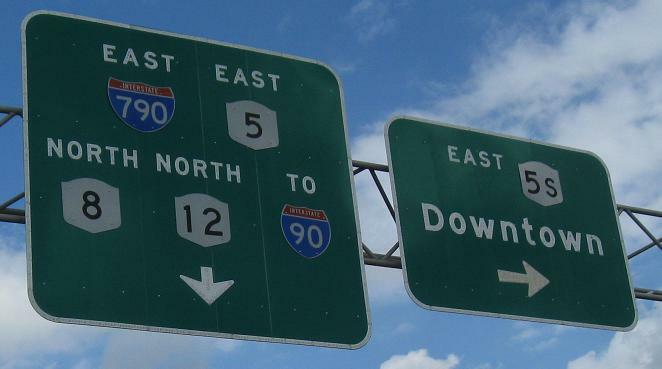 Originally, NY 5S came back to NY 5 at what is now the I-890 Exit 4 traffic circle-esque mess.